One of the best things about working for a company with a top 10 digital directory USDirectory.com) and other MarTech brands (Shooger.com) is that we get visibility into all sides of the digital marketing landscape and conundrum. 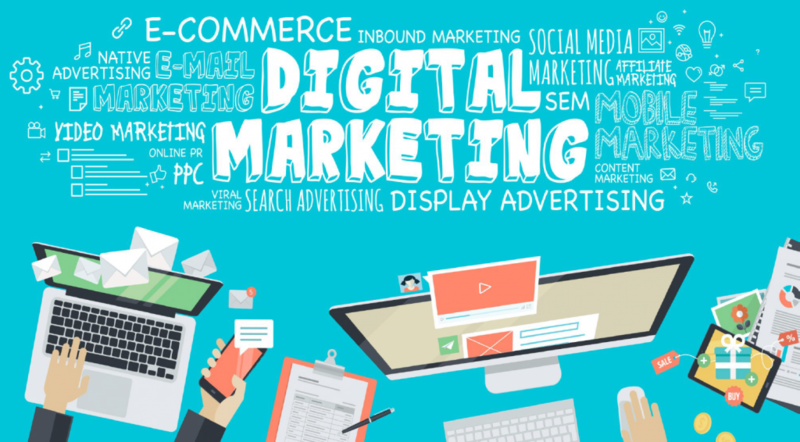 Digital marketing is complex and can be confusing for those who haven’t dealt with it on a professional level. It’s also in constant flux. What may have been a best practice a few months ago is now a “no-no” because of a change to some search algorithm made by Google. One of the many aspects that makes our view so interesting is that we deal with large volumes, i.e. millions of consumers searching for merchants, hundreds of thousands of merchants and tens of thousands of agencies looking to promote their clients (merchants). We see inside verticals and across demographics. Trends can’t hide from us. When you get to this kind of scale you start looking heavily at data. Data becomes your Rosetta stone. With enough of it and the right questions in mind, you should be led to the answers you seek. Behaviors, patterns, repeated actions are all magnified with numbers and all you need to do is follow the primer. I remember when I used to think 100 clients taking similar actions was a lot. Now it’s thousands upon thousands – we live in the land of BIG DATA. Ok, yes, I’m a data dork. I’m fascinated by the crystal ball that is data. I get to see what consumers want and how merchants are succeeding with different techniques. We’re always analyzing, learning and optimizing. Knowing what we know (unfair advantage) we thought some guidance and giving back was in order. With focus and vigilant attention, these 7 techniques will bring you an endless flow of leads that can be nurtured and turned into customers. And if they don’t please let me know, I’d like to analyze it. 😊 So, without further ado I give you the 7 techniques (including hints and tricks) to promote your business online. Done right, search marketing is crucial to a healthy online presence. But long gone are the days of just having an accurate Google listing. Paying-to-play (industry slang for advertising) is now part of the equation if you want to see results. That doesn’t mean you need to spend thousands of dollars per month. …with Search is to simply be there (like a lot of endeavors in life). You can always start a very inexpensive campaign and simply make sure you limit its daily spend (some call this set it and forget it). It can’t hurt to have a small budget campaign always running in the background. Search campaigns are flexible, if nothing else, and can always be turned off automatically by date, by spend or even by available inventory. This will also have a small, positive effect on your overall online presence. Keep in mind that there is value in being there, even if your ad isn’t clicked. What I mean by this is that ads are shown for free on Google, Yahoo and Bing (as well as on other tier #2 search engines). It’s called an impression. Search advertising only cost you when your ads are clicked. However, many consumers may still see your ad, even if they don’t click. When your name shows up in multiple places it gives consumers more confidence in your business and/or products. Search Marketing is big business and has now become ubiquitous with consumers who are searching for products and / or services, especially on a mobile device. Search marketing is effective. It’s the method father down the purchasing funnel, meaning consumers typically turn to Search Engines once they’ve decided to purchase and they conveniently type in exactly what they want. How great is that? It doesn’t get much more targeted, so why wouldn’t you be on the search engines? Our Platform makes it convenient for you to do all this: update your Google listing by syncing directly with Google My Business, start a mobile campaign and/or a basic vanilla Search campaign. Here’s the other trick; update more than just your address, hours and phone number. Create valuable content, like a special offer. This is what consumers are craving (remember, we know). Reach your customers on their preferred devices and around your preferred business radius. For the first time since this crazy thing we call the Internet was created, consumers are now using their mobile devices to search for products and services more than laptops or desktops. This is a very important phenomenon to understand if you want to leverage it properly. There are two factors to consider when attempting a successful mobile ad campaign; location and device. Where is my customer in relation to my business (how far away can I service clients?) and what kind of device are they using to search? We know it may sound complicated, but we’re doing the heavy lifting while you sit back and relax! Simply tell the system you want to start a mobile, location-based campaign, make a couple of choices, like radius around your business, message and we tackle the rest. Facebook is great for two things: advertising and posting (marketing your content). Their advertising is very inexpensive and targeted. This is a channel we recommend our clients leverage while the price is so low. It will not be this way forever. Remember, Search started out cheap as well. …when advertising on facebook is to understand your target market. Once you know this it’s easy to create a customer profile and that gets loaded to Facebook’s targeting database. Facebook knows so much about all their members that it makes targeting very granular. So if you know that women between the ages of 25 and 36 who play volleyball and have one male son under the age of 8 are your target then you’re in the right place. When marketing content don’t forget to create information that gives back. Another life lesson; each time you give you get back in multiples. That’s how content marketing works. The more valuable insight and information you give out the more people come back to you for answers and hopefully product / services. Our platform directly integrates with Facebook for seamless marketing and customer engagement. Simply create your post on Shooger and push it to your social networks with just one click! Yes, it’s that easy! Just like Facebook, Twitter is another key social media megaphone that can be strategically aimed at your potential and/or existing clients. Posting valuable content here is free. Maybe you’re already successfully marketing content via Twitter? Do you have a ton of Twitter followers that expect to see regular communications from your business, or are you looking to build this channel? Either way, you can manage Twitter via our Platform by following our methods for success. We walk you through this process inside of our software. The great thing is that you’re being efficient by doing it all from one place, including analyzing the results and optimizing to get better performance. This is the most common form of communication with existing customers. It has been a proven method in driving sales, time and time again. However, you must follow some basic protocols. Keep your message simple, use helpful / catchy graphics and offer something, like knowledge or a special offer. Spamming people doesn’t work and could even get you in trouble. But sending valuable information to clients or consumers who want to hear from you is crucial to repeat business. Do you have a contact list of customers who have opted into your communications or are you looking to build that? You can upload existing lists of emails to Shooger or begin building your list for the first time. Each time someone reads a piece of your content (the stuff you posted on Twitter and Facebook) and decides to follow you they’ll be automatically injected into your email list inside of our platform. This way you can reach existing clients and/or new ones without the burden of dealing with another piece of software or an email marketing platform. Yes, it’s that easy! Keeping your business listing data accurate is a critical part of your online presence management. We’ll allow you to directly manage over 150 industry relevant search engines, websites, and platforms right from our Platform! Make sure your business profile is accurate in our platform. We do the rest! Notifications pushed to a smart phone are practically guaranteed visibility. It’s an amazing way to communicate with those who are following you in real time. If you have valuable deals, then this method works well. You can reach your followers through our Shooger app. They’ll simply get a notification on their app, showing the details of a new offer or promotion. It’s easy to share your content with Shooger and your customers will love how easy it is to use! Create offers on a regular basis. This way your clients and interested consumers will follow your business and expect to see those offers. get in touch with us for solutions. This entry was posted in Marketing Tips and tagged Keys to Digital Marketing, Secrets to Digital Marketing, Top Techniques - Online Business Promotion. Bookmark the permalink. Copyright © 2019 Shooger Patent pending; all rights reserved.